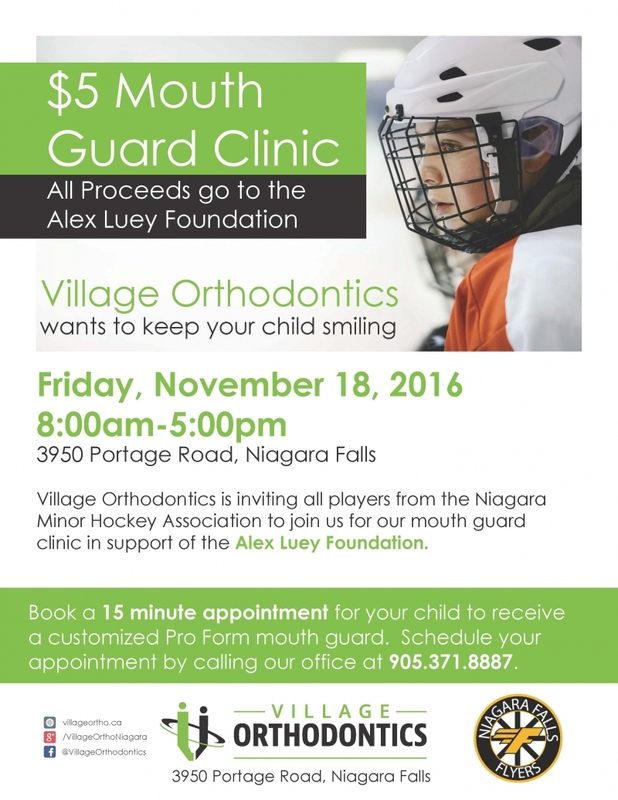 Village Orthodontics in Niagara will be hosting a $5 mouth guard clinic for all minor hockey players in Niagara Falls. On Friday, November 18 between 8am and 5pm, book an appointment for your child to receive a customized Pro Form mouth guard. We are asking for $5 donations that will be given to the Alex Luey Foundation. Call our office at 905.371.8887 to book a 15 minute appointment and support a local family!